The VIA DEL CAMPO group was formed in 2006 from the idea of some friends driven by the desire to make music together. 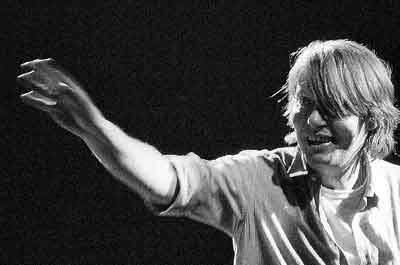 The project takes shape with the aim of reproducing the refined music and poetic texts of Fabrizio De Andrè, from the irreverent "Bocca di Rosa" to the enthralling "Il Pescatore", from the fable of our days "Sally" to the ardent "Il Testament of Tito ", through the arrangements that were of the Premiata Forneria Marconi and some licenses born during the rehearsals of the group. each one putting a pinch of their personality in performing the songs, always careful, however, to keep the original style and flavor intact. the songs of the Genoese singer-songwriter and sing them together with those who are on stage, experiencing the poignant and romantic moments, as the most moving and fascinating rhythms of the evening. The vast repertoire left us by De Andrè heritage that belongs a bit to all of us: everyone has, and we hope he can listen, the song that goes straight to his heart.